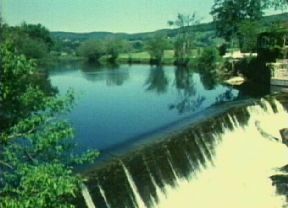 Water power is known as the sleeping giant of renewable energy sources. In 1900 there were over 100,000 small water-power sites in operation in North America. With the advent of cheap fossil fuels many of them fell into disrepair. 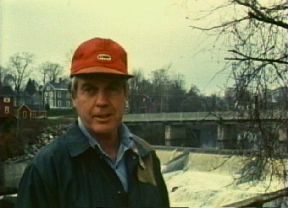 In the early 1980's New England was the scene of the resurgence of small scale hydro electric projects. This film concentrates on three new hydro entrepreneurs who have brought up old dam sites and are rebuilding them for the production of power. This work attracts a special breed of person, someone who is fascinated by the technology, the history and the elegance of this method of generating power. These entrepreneurs delight in the fact that things have come full circle, and that water power which built their communities, is once a again responsible for their revitalization. An award winner at the Atlantic Film Festival.